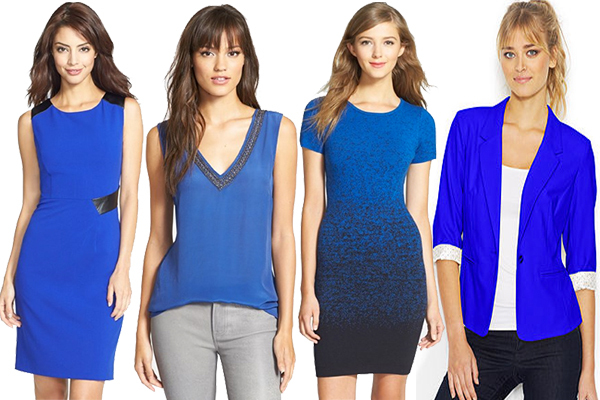 Fearlessly take on the world and radiate self-confidence the minute you step into the office in bold, beautiful blues. Wear a brilliant blue hue on any day you need an extra push and see how the color works wonders for you. 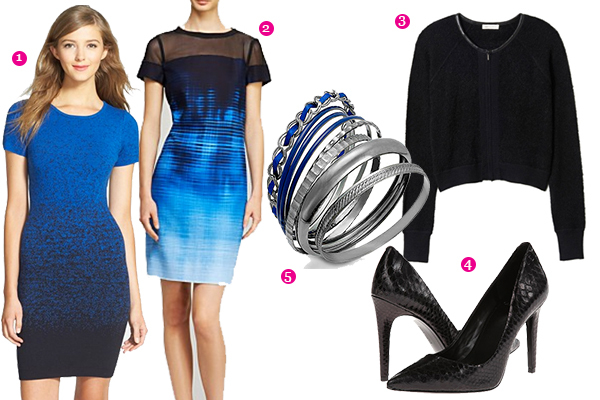 Make an entrance into work with a very bold colored blue dress. Add an essential black blazer and your favorite black power pumps and you’ve got the perfect power pair to boost your confidence. Finally, a statement necklace can be added as an extra touch. A blue embellished top has just the right amount of sparkle to brighten your day. These tops can be paired with tailored black pants and a light cardigan. To keep with the light flow of your outfit, add some sparkle and a grey heel. Adding a simple ombre print can be just enough detail to make you stand out from the rest. Put on a light cardigan and some textured heels, and you’re ready to go. Stand out bangle bracelets make a perfect accessory. Nothing shows power and confidence more than a blazer, so why not make it a confident blue. Wear it over a white blouse and black trousers to make a perfect office look. Black and gold pumps with some gold jewelry will polish off your look.